Every good party must have good appetizers. Stylish bites appetizers are the perfect way to kick off a party. Now you don't have to stress about fast recipes for a party. 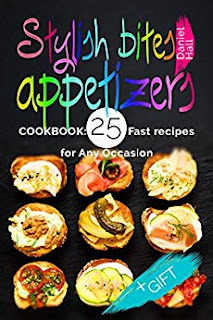 Our Appetizers cookbook includes the best appetizers recipes to enliven everyone's appetite. If you need something to complement your main course or are simply looking for appetizers you can make in two steps with our great cookbook. Our collection of appetizers recipes will impress your guests and family. We hope it will become your source of gastronomic inspiration. Let alone a plate and a fork and start your party with these delicious appetizers!